Bells on Sunday comes from St. Mary’s, Prescot in Merseyside. The church was built in the 17th century and the tower dates from 1729. 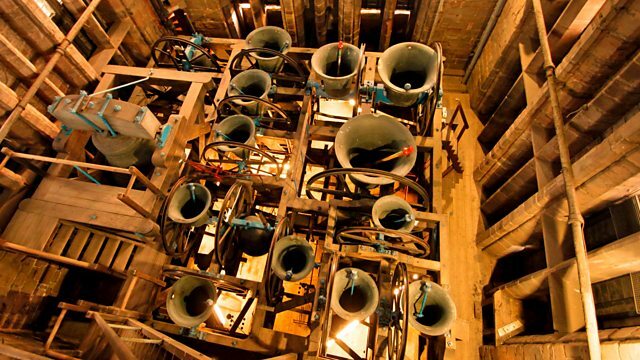 The bells were cast in 1845 with the tenor weighing 13 hundredweight. We hear them ringing, ‘Grandsire Triples’. Bells on Sunday from the Monastery of the Transfiguration on the Solovki Islands in the Arctic Ocean.